I was introduced to Alexandra by her mother, Christina, and it quickly became clear that we would work very well together. Alexandra & Filippo started as Wedding Planning clients for their autumn wedding in late September. Alex and I developed a special language. She trusted my guidance and spoke her mind freely when she disagreed. Most importantly, we had a great time together and after the wedding had passed, I started to miss her name popping up on my phone so frequently. We connected on a weird, unique level – it was really nice! We worked in conjunction with Gatto Flowers to bring this stunning wedding to life. Gatto Flowers created all the arrangements for the church ceremony at St. Margaret Mary Parish and reception at Chateau Le Parc. 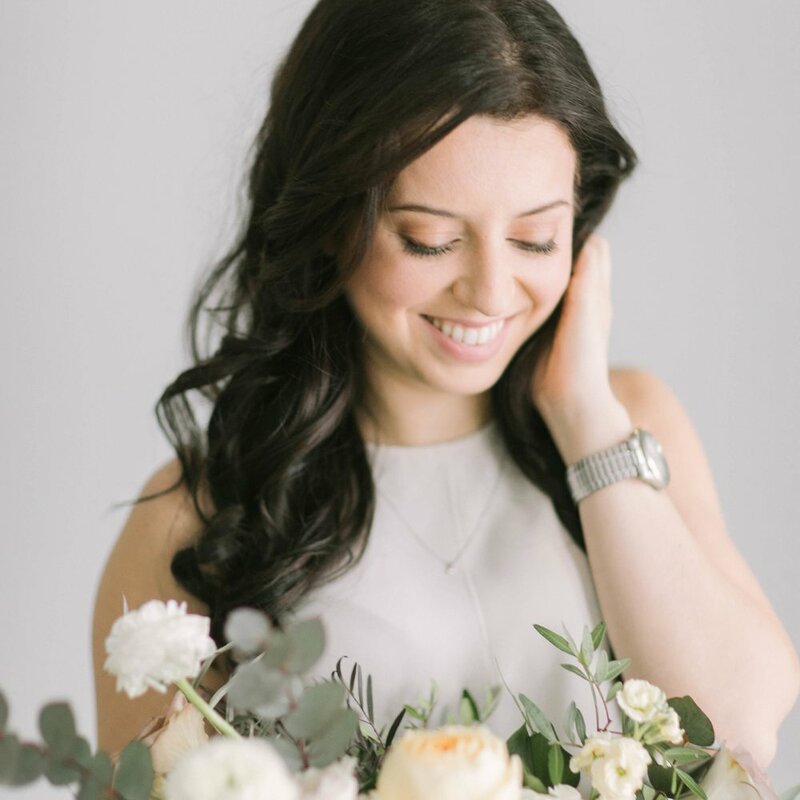 We created all the personal flowers (bouquets, boutonnieres and corsages) as well as all the home flowers Alexandra was surrounded by as she left her house for the last time as a Giuliani. We used warm burgundy, clean ivory, hints of brown, quintessential quicksand roses and eucalyptus (obviously). My favourite detail was the strawberry hydrangeas. They brought such warmth and airiness to the palette. I will never forget Alex’s face as I presented her with her bouquet (see below). We also created mix-matched boutonnieres for Fil and his groomsmen. Each boutonniere followed the colour palette but featured different focal flowers to create visual interest and depth. Alex and Fil took their photos at Dog Tales Rescue & Sanctuary. Note to future brides and grooms – not only is their outdoor space beautiful, but the money spent goes to a great cause. Click here to learn more about Dog Tales Rescue & Sanctuary’s mission. Livi Shaw Photography is the talented team behind this gorgeous photographic evidence of Alex and Fil’s extraordinary wedding day. Click here to see the gorgeous same-day edit by Frame of Mind.